Are you using our previous tips but still not quite meeting your goals? 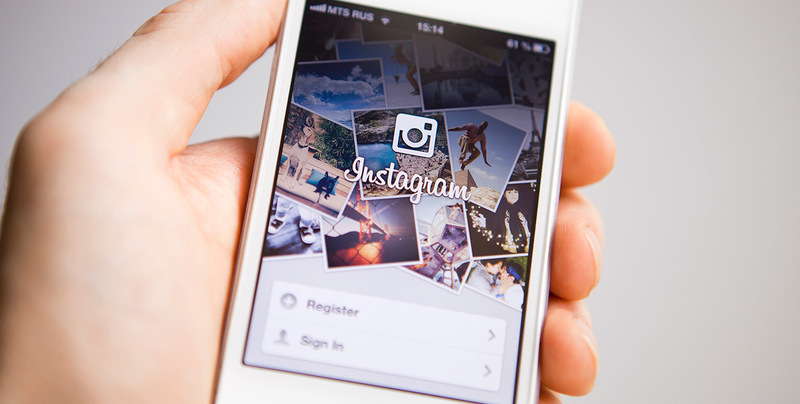 It doesn’t matter how good your brand’s Instagram account looks if no one sees it! Here are some tips to promote your Instagram page and bring more traffic. Promote your posts on other social media platforms. Using your other social media accounts to notify followers of posts may increase traffic to your Instagram page. Tweeting a link or sharing the photo on Facebook will expose more people to your post. Modify your username to be easily searchable. It’s going to be difficult for users to find your account if the username isn’t something that directly ties in with your brand. By keeping your handle/username simple, other users will be able to easily find your account by typing in the name of your business. If your username is complex and not clearly related to your business, users may have a hard time finding it. Use a quality profile photo. A strong profile photo makes a huge difference for users discovering your brand. Good options include a photo of a well-known product or a logo. It’s a good idea to use the same profile photo on all of your social media accounts as well – this helps users to better recognize your brand. Keep your bio short and simple. Use your bio to briefly describe what your business does. You have limited space, so be sure to use a voice that accurately represents your brand. Also, be sure to include your website URL in your bio! URLs can’t be placed anywhere else, so this is your opportunity to direct followers to your site. You can refer to it in your individual posts, which we mention later. If you have a slogan, it may make sense to add it here. You may also want to incorporate any hashtags that are used specifically for your brand so that users see them right away. Be discreet in your advertising. No one wants to follow an account whose only mission is selling a product. Users follow brands for their content, so what you post should be interesting to your audience. Instagram is best used to show your brands personality. Leave the hard sells to your website. If your physical office/store/building has its own geotag, be sure to use it in your posts. Users may search your business’s location, so this gives users another way to find your content. Other users may also use your geotag, so when their followers click on it they’ll be led to any and all content using the geotag. This will help users to discover your profile. Make sure your posts have quality captions. Your caption can make or break your post. This is where you really get to show your personality: Are you funny or serious? More formal or laid back? A good caption will help viewers remember your post and encourage them to give it a second look. If your captions are really good, users may take the time to look through your posts to see what you’ve said in the past. Your captions truly determine the direction that your posts go. You can also create an environment for engagement by giving users a reason to like, comment, or send your post to others. Asking a question in your caption is one way to do this, because it will get users to comment on your post. If you’re posting about a certain product or something you have on your actual website, include “link in bio” in your caption. This directs users to your profile and helps bring them to your website. Partner with influencers using the paid partnership feature. If you want an influencer to promote your product on Instagram, it’s required that posts be tagged as paid partnerships. When you use this feature, “Paid partnership with _____” will appear on the influencer’s post above the location, letting users know that this person/account received compensation for posting about your product or service. By doing this, users who follow the influencer but may not be aware of your brand will see the post and be more likely to discover you. Hopefully you’ve already found a handful of popular, but not too popular hashtags that pertain to your business. Now, take these hashtags and search them on Instagram. Instagram should give you suggested hashtags that are similar. Look through them and find other good hashtags that are related to your brand. However, remember not to use too many hashtags per post! Be sure to do this for content featured in individual posts too. For example, if you’re posting about a specific product or related lifestyle topic, find good hashtags related to these as well.